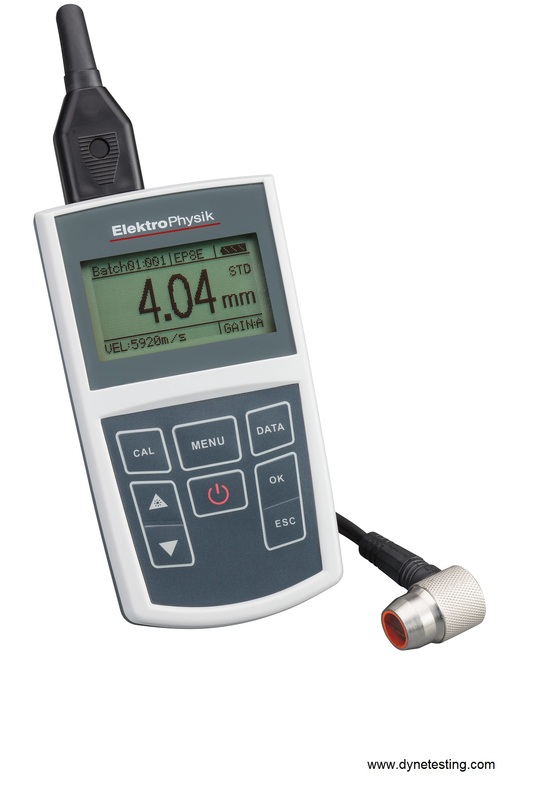 The MiniTest 400 is a sturdy and accurate non destructive ultrasonic wall thickness measurement gauge ideal for measuring hard materials such as metal, synthetic material, glass, ceramic etc., and covers a range of shapes and hollow bodies of all kinds like tanks, pipes and more. Based on the ultrasonic pulse run-time method, we offer three variations of this wall thickness gauge depending on the users requirements and budget. Users can choose from 6 ultrasonic probes with frequencies ranging between 2 and 10 MHz in different designs offering a broad spectrum of applications and thickness measurements ranging from 0.65 mm to 500 mm. A high temperature ultrasonic probe is also available, designed for measurement of hot materials with temperatures of up to 350 °C. The instrument is equipped for automatic detection of the intelligent ultrasonic probes and re-calibration is not required upon switching probes. Standard: The standard mode displays the active measurement reading. Minimum: The lowest measured value (= thinnest point) is displayed while measuring. This mode is suited for measurement on curved surfaces or to locate the thinnest wall thickness. Differential: Shows the differential value between the required thickness and the effective thickness measured. Alarm (Limit): Activates an optical and acoustic alarm when values exceed or fall short of the threshold values. Scan: Particularly suitable for quick measurements at high material temperatures. For further technical specifications, please check the product brochure in the download section.